CannaWraps Terpene Infused Hemp Wraps. Available In Original, Honey, Grape and Mango. 24 Pouch..
High Hemp Organic Wraps. 25 Pouches In A Box With 2 Wraps Per Pouch. High Hemps are the..
High Hemp Organic Wraps - Bananagoo. 25 Pouches In A Box With 2 Wraps Per Pouch. High Hemps ..
High Hemp Organic Wraps - Bare Berry. 25 Pouches In A Box With 2 Wraps Per Pouch. ..
High Hemp Organic Wraps - Blazin' Cherry. 25 Pouches In A Box With 2 Wraps Per Pouch. 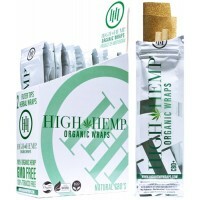 High Hemps&..
High Hemp Organic Wraps - Grapeape. 25 Pouches In A Box With 2 Wraps Per Pouch. 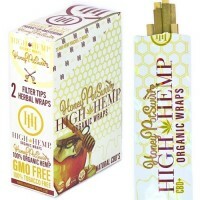 High Hemps a..
High Hemp Organic Wraps - Honey Pot Swirl. 25 Pouches In A Box With 2 Wraps Per Pouch. 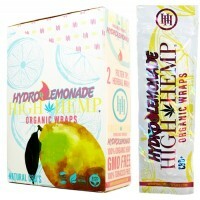 High H..
High Hemp Organic Wraps - Hydro Lemonade. 25 Pouches In A Box With 2 Wraps Per Pouch. ..
High Hemp Organic Wraps - Mango. 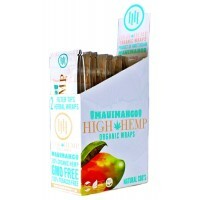 High Hemp Maui Mango Organic Hemp Wraps are the first of it..
Juicy Hemp Wraps - Grapes Gone Wild. Box Contains 25 Packs With 2 Cigar Wraps Per Pack. 1ct. ..
Juicy Hemp Wraps - Tropical Passion. Box Contains 25 Packs With 2 Cigar Wraps Per Pack. 1ct. ..
Mintys Box - Mintys Mint Herbal Blunt Wrap. All Natural. Eco Product. 100% Organic. GMO Free. Vegan ..
Royal Blunts Hemparillo Hemp Wraps - Blueberry. 15 Pouches In A Box With 4 Wraps Per Pouch. ..
Royal Blunts Hemparillo Hemp Wraps - Cali Fire. 15 Pouches In A Box With 4 Wraps Per Pouch. ..
Royal Blunts Hemparillo Hemp Wraps - Grape. 15 Pouches In A Box With 4 Wraps Per Pouch. ..